On April 21, 2017, the Social Science Research Council (www.ssrc.org) hosted a meeting of approximately thirty social scientists, humanities scholars, data scientists, librarians, and archivists to discuss the topic of “Securing Social Science and Humanities Government Data” (hereafter, “Securing”). Increasingly, “data rescue” events are being held across the United States, focused on downloading government data primarily related to the environment and climate change. SSRC began exploring, first, the extent to which other data—namely, government data oriented to the social sciences—were being collected (or not) alongside the environmental and climate data and, second, the applicability of data rescue efforts to a broader social science research landscape. The result was a series of conversations by SSRC staff with a variety of leaders in the data rescue effort, including those responsible for creating DataRefuge at the University of Pennsylvania. 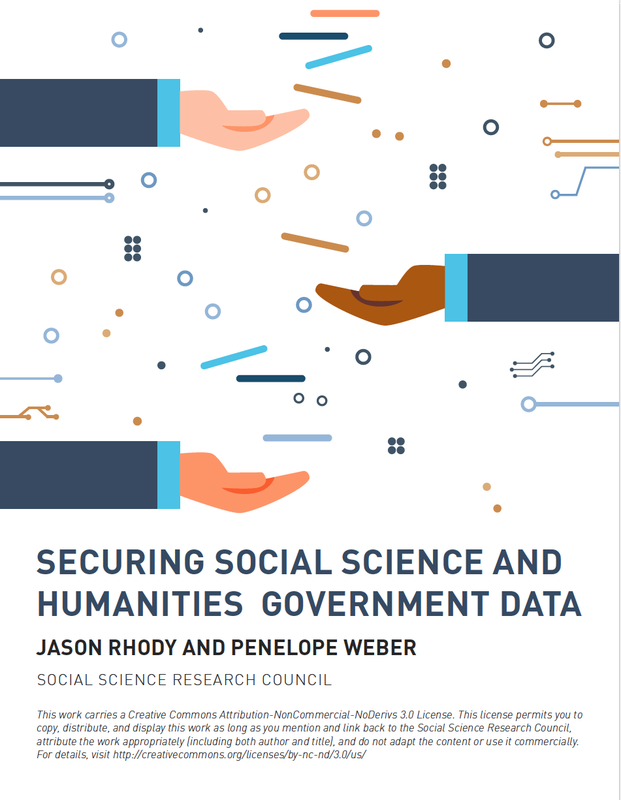 Securing Social Science and Humanities Government Data (SSRC.org).